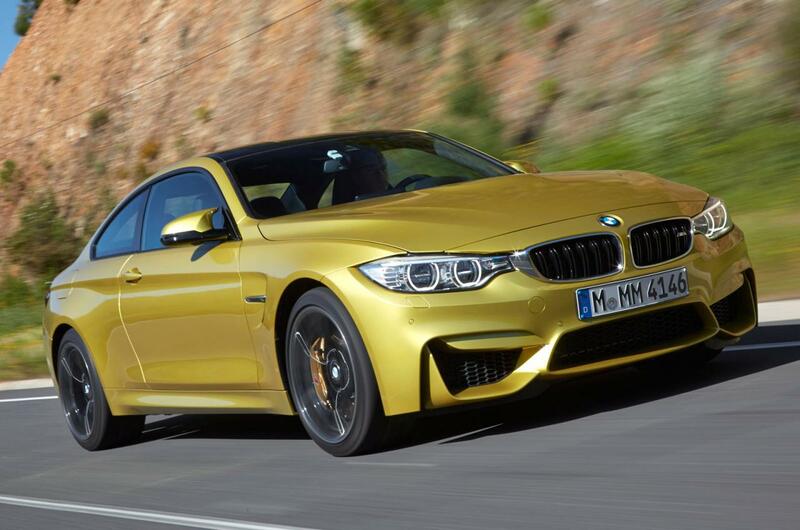 Part of the renumbering that BMW splits the 3 Series coupe and convertible models to the 4 Series (to further differentiate with the 3 Series sedans), the M4 replaces M3 Coupe and M3 Convertible models. Upgrades over the standard 4-Series include more powerful and responsive engines, improved handling, suspension, and braking systems, aerodynamic body enhancements, and interior/exterior accents with the tri-colour "M" (Motorsport) emblem. 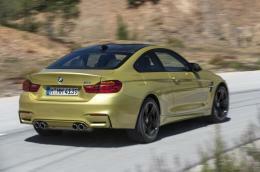 BMW officially presented the M4 concept on August 16, 2013. However, the concept car did not reveal any interior or technical details. 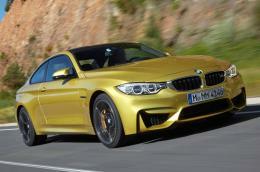 On September 25 2013, BMW released technical specifications of the M4 which will be powered by M-tuned S55B30 engine, a derived form of the N55 engine, displacing 3.0 L (180 cu in) and redlining at 7,500 rpm. The engine will use two mono-scroll turbochargers with boost peaking at 18.1 PSI. The power is rated at 430 hp (320 kW; 440 PS) while torque will be over 500 N·m (370 lb·ft). The weight of the M4 will be no more than 1,500 kg (3,300 lb). Both 6-speed manual and 7-speed M-DCT transmissions will be available. The 7-speed M-DCT transmission will accelerate the car from 0-60 mph (97 km/h) in 3.9 seconds. The 6-speed manual transmission will do 0-60 mph (97 km/h) in 4.1 seconds. Carbon fibre reinforced plastic will be used extensively throughout the car and for the first time in the M vehicle, an electric power steering unit will be used. 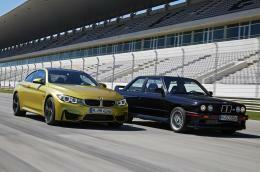 The steering system will be specifically tuned for the M3 and M4. Although controversial, the M4 will feature Active Sound. A live amplification of the engine's natural sound will be inducted into the passenger cabin via the speakers. The convertible weighs 1,839 kilograms , 41 kilograms less than its predecessor. The three-piece retractable hardtop folds in 20 seconds.